A heritage homestay, with wooden interiors and beautiful vintage feel in the middle of an apple farm near Shimla. If that doesn’t sound like a location straight out of a book, then this property will prove you wrong. What To Expect At The Property? 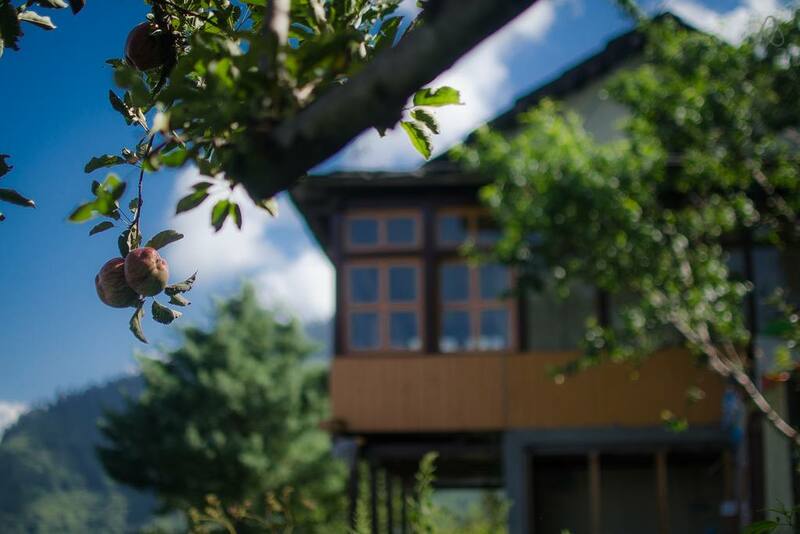 Live rural life in an Apple orchard high up above Naggar town! The life here is tough and requires a lot of walking & bumpy rides. But if you seek absolute peace, simplicity and an escape from all urban comforts then this is the place for you. 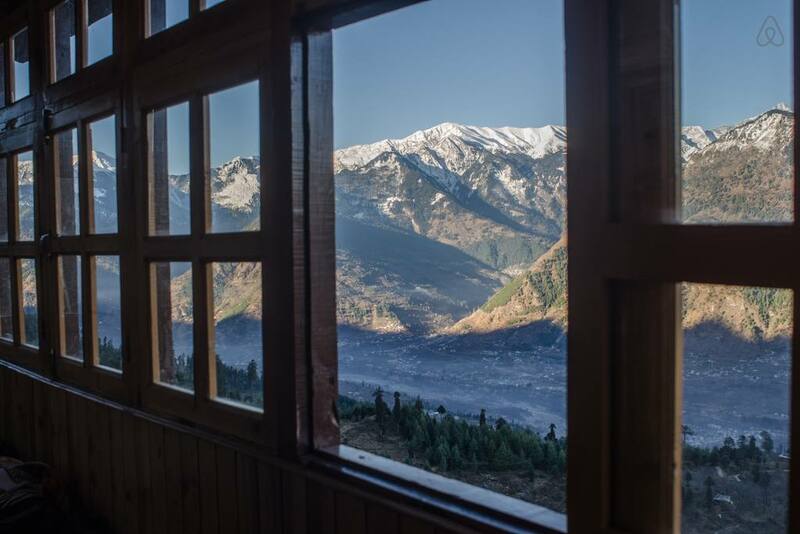 The cottage overlooks the magnificent Kullu valley & has unhindered panoramic views of Snow Peaks. What You’ll Love About the Property? 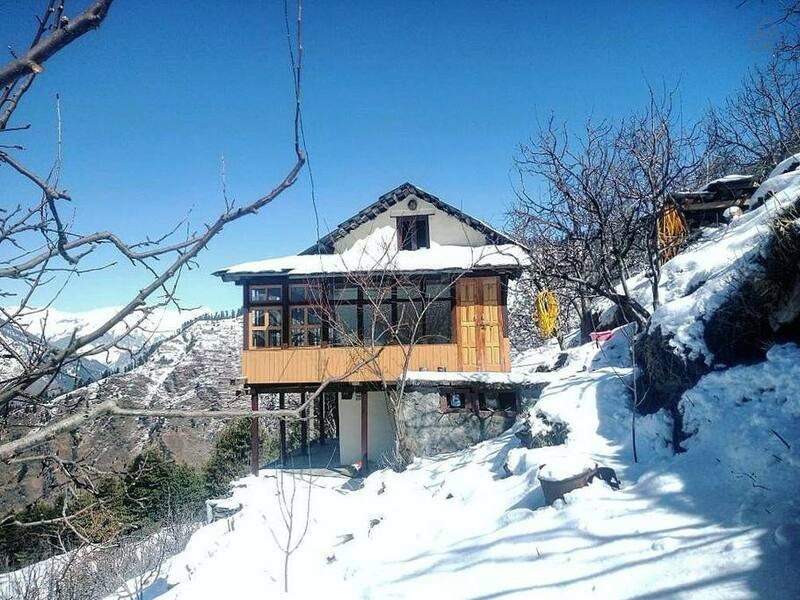 A two storey traditional Himachali design house on the edge of a cliff. It’s a place for postmodern travelers looking for a unique and authentic cultural and lifestyle experience different from routine life. This property is a part of a larger Sustainable Tourism Project. So you can expect this to be an organic, eco-friendly experience that will leave you wondering how much you cause pollution in the larger cities without even being aware of it. 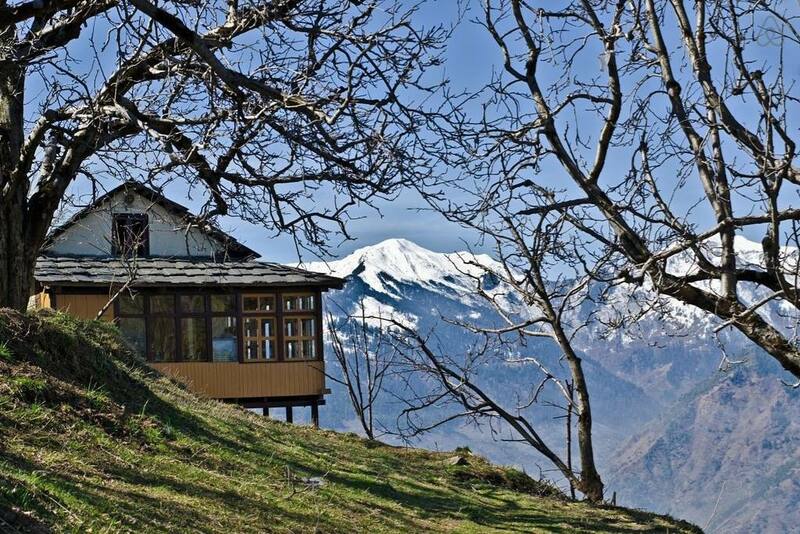 If you have a sense of appreciation for traditional Himalayan design and culture, simplicity of rural life, minimal living and environmentally and socially conscious consumption, this property is definitely for you. Its an ideal spot for writing retreat, meditation & self-discovery.